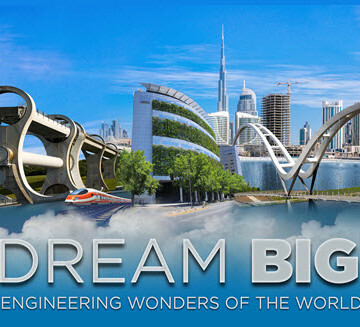 Every February, Engineers Week celebrates the great achievements of engineers, but next year, the week will be truly big – as in ASCE’s giant-screen IMAX movie, Dream Big: Engineering Wonders of the World, which has its world premiere Friday, Feb. 17, 2017. Bechtel, presenting sponsor of Dream Big, will partner with ASCE as 2017 chair of the DiscoverE Leadership Council for the event. “We are thrilled and honored to be chairing Engineers Week 2017 with Bechtel, and to have DiscoverE as our educational partner for Dream Big,” said ASCE Executive Director Thomas W. Smith III, ENV SP, CAE, F.ASCE. ASCE has been a member of the EWeek Steering Committee since its inception. This is the fourth time for the Society as chair, 1994, 2002, and 2010 being previous. ASCE volunteers have been highly active throughout the years in EWeek events, including the Future City Competition (marking its 25th anniversary in 2017), the New Faces of Engineering program, and Family Day. The Dream Big film was a major emphasis of a mid-June organizing meeting of the Engineers Week Steering Committee and Diversity Council, hosted at ASCE headquarters in Reston, VA.
ASCE will continue developing Dream Big outreach materials this summer to be used in combination with the film next year in schools, museums, and communities around the world. 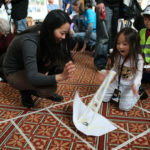 The hope is that the Engineers Week platform will significantly boost the number of children and young engineers who will benefit from the film experience. 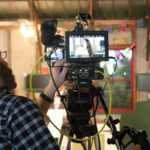 Sign up for updates about the film and learn about volunteering for Dream Big outreach opportunities in your community.